For many business owners, the American dream includes living the 4 hour workweek as described by Timothy Ferriss in his bestselling book. Who doesn't want more time to travel, spend time with family and (heaven forbid) golf? Dozens of business owners (including myself) have found the key to the 4 hour workweek: outsourcing. 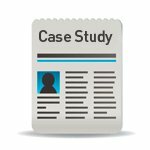 My experience and ReplaceMyself.com case studies have proven that outsourcing to the Philippines helps business owners reach their goals. Learning to delegate tasks and effectively manage a Filipino team can bring you miles closer to living the 4 hour workweek. 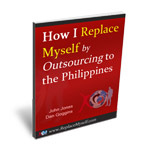 When you do it right, outsourcing will save you time, stress and a lot of busy work. First, Hire your Filipino Workers. If you haven't found a full-time Filipino employee yet (NOT a freelance worker), check out www.OnlineJobs.ph. You can create an inexpensive online job post and directly contact jobseekers who match your needs. The advanced search option makes it easy to sort through 45,000+ jobseeker resumes. You can search by skill and/or proficiency. It's the most foolproof method we've found to secure competent Filipino employees. Then, Train Them Well. Filipino workers are not robots. They'll need training just like anyone you'd hire stateside. Make sure you understand what you're asking them to do, and then use screenshots and Jing to clearly convey your message. If you don't have time to create trainings of your own, you can find a list of our trainings for Filipino workers here. Manage and improve your overall communication and effectiveness. Part of management includes understanding your employees and their needs. Culturally, you have to remember that Filipinos are extremely conscientious workers. They're worried about not meeting your needs. They're non-confrontational. Embarrassment may keep them from asking questions and ultimately they may quit or disappear if they don't understand your instructions. Use Jing to give feedback. Require them to send you an email every day. Remember to convey clear instructions, give plenty of praise and always be patient and open to questions. Use Jing to help them understand exactly what you want. Give generous feedback and don't forget to acknowledge a job well done. A little appreciation goes a long way with any employee. Communicate via email on a daily basis and come up with work policies to enforce. Make your expectations clear. They're expected to have only 1 job, working for you. They can take off whatever personal time they need, as long as they don't take unfair advantage of it. You're here to help them if they get stuck on something. Please ask. You expect this to be a long-term working relationship. It's a permanent job. As you invest time into training and managing your Filipino workers, you'll fi nd they become indispensable and competent long-term workers. Through patience, clear instruction and consistent communication, they will ultimately help you reach your goal of living the 4 hour workweek. The quick start guide and other trainging resources provided by ReplaceMyself.com were designed to help beginning outsourcers turn into pros. 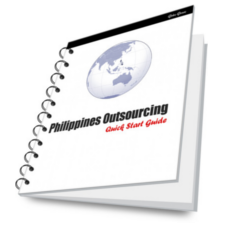 For more information about hiring and training, and managing your Filipino VAs (including tips about payment, project management and time tracking), see our complete "Quickstart Guide."